In the beginning of this article, I just want to give you a heads-up: Russia has a poor road safety record as its downside−hardly exposed, but if you do some research, you will find out that the nation has been struggling with accidents and road deaths. However, if you visit Moscow or other big cities in Russia, your safety will be guaranteed, because it already has better road system. Moscow has applied paid parking rule in its road system and a few numbers of speed cameras so that the traffic violations could be dropped significantly. Before you get behind the wheel and start to drive in Russia, it is only wise for you to learn more about Russian road conditions. So, here are 8 things to know when you start to drive in Russia. In big cities like Moscow and St. Petersburg, the speed limit applied to drivers is 20 km/h. So, do not be surprised if you find other Russian drivers add more 20 km/h into their speeds whenever the spot any speed limit sign, because it is the gateway for being fined. Do the same; do not blindly follow the speed limit, or go slower. If you go slower, you will be seen as either a beginner or a dimwit, treated badly, and given some contemptuous look by other drivers. You can even possibly be pulled over by the cops, because they assume you are drunk and trying to prevent an accident by driving too carefully. There are many reasons for you to be a tad bit rude when driving, and do not worry, I will not judge. Almost everybody is like that. However, if at some point, you ever cut someone off, or just did something stupid, then never make eye contact with other drivers. You will only get stared at, and if you return the stare then a conflict might happen. There is a solution to that problem. It is to tint your windows. You will probably be charged for 500 rubles for tinting your windshields and front windows, but who wants to drive a transparent aquarium anyway? Chaos is what you describe Russian roads condition, because you can expect any driver to turn in any direction at any time without signaling. If you turn signals before taking a left or right turn, again Russian drivers will think that you are either a beginner or a dimwit who happen to have too much free time turn signal. In some cases, there are Russian drivers who like to substitute the turn signals with hazard lights. So, whenever they branch off in front of you and start to take another turn, they will use the hazard lights to let you know. Generally, the fast-blinking hazard lights mean thank you. In Moscow or any other big city in Russia, you will never find an empty road even one. The traffic situation in Russia is very crowded and it happens every time. If you drive in Russia, do not forget to use helpful guide apps like Yandex Maps and Google Maps, for they will help you show the current traffic and even predict the traffic situation in a next few hours. If you are stuck in a long-hour traffic jam in Russia, you will find some people making use of the current situation to gain a profit such as beggars asking for money, salesman offering their products and services, and many others. This is the cultural difference you have to embrace while driving. It is illegal to drive a dirty car in Russia. It is written in the driving rules in Russia, so you should be aware. Their assumption: A dirty car is an illegal car. 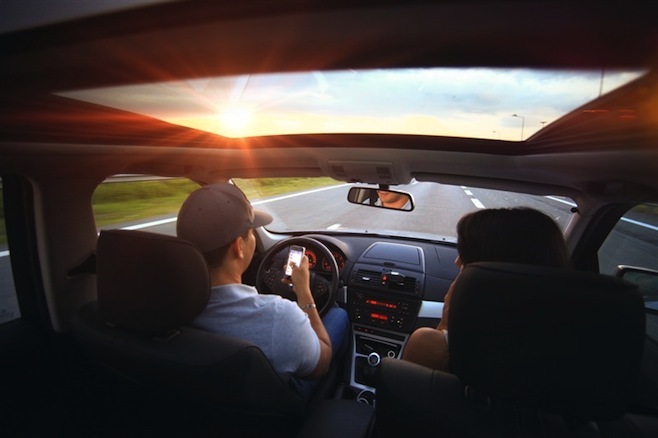 Many drivers−sometimes the entire population− pay a little attention to this law, since they think they have more to worry about while driving, but you should be careful not to let your car too dirty all the same. If you drive all the way to the Russian highway, chances are you will find some people stand on the side of the road trying to stop you and ask you for a ride. They are called hitchhikers. My advice is to not pick them up no matter how good they present themselves, because you can never tell whether they are good people or not. The worst scenario is that they might be people on the run. Just keep in mind that it is not a good idea to take the chance of putting strangers in your car, because those strangers could actually hijack your car and put yourself at risk. When driving, it is only natural that sometimes you are in doubt of who should give way to who. One universal rule is to give way to any driver who seems to be in a hurry, because those in a hurry usually do not mind speeding, or driving on the side of the road, or not bother to use the turn signals. So, if you encounter that kind of driver, make sure to let them go first. Getting pulled over by the traffic police is not rare by any means, even if you do not do anything wrong during the drive. However, you should not be worry about it as long as you stick to the basic rules such as keeping your seat belt fastened, having all of your car’s documents (insurance, driving license, ID card, et cetera) at your disposal, and staying absolutely sober! Also, make sure that your license plates are entirely visible. Pay attention to those 8 things you should know when you start to drive in Russia and you should be safe. Have fun on the road!